Reporting from WBEZ's Robert Wildeboer. 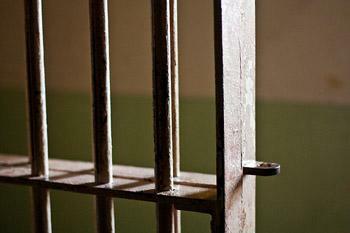 Last week, the Illinois Department of Corrections broke a rather unenviable record. On Tuesday, the department housed 49,172 inmates. The previous record was sent in Oct. 2011 when the population hit 49,135. The population has been steadily rising since Ill. Gov. Pat Quin suspended an early release program in the middle of a heated primary election against Dan Hynes two years ago. Quinn recently signed into law a new early release program that should help bring down the number but it hasn't yet been implemented. Despite, the bulging population, Quinn is seeking to close several prisons to save money. The closures are opposed by the union representing prison workers who say overcrowding is already causing safety concerns. Two major Illinois prisons and other facilities will stay open for at least another month after an arbitrator ruled Gov. 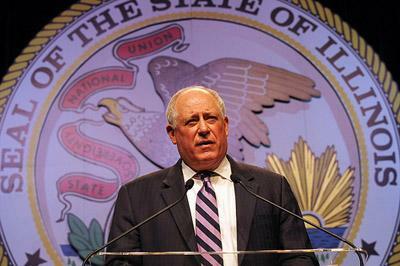 Pat Quinn's administration violated workers' rights in rushing to close them. Arbitrator Steven Bierig concluded Friday that the state departments of Corrections and Juvenile Justice did not properly negotiate with workers over the impact of closing the supermax Tamms prison, the Dwight women's lockup and several juvenile facilities. A union for Illinois government workers says negotiations with the state are at a "virtual standstill." The American Federation of State, County and Municipal Employees says concessions demanded by Democratic Gov. Pat Quinn are "an insult to every state employee." Quinn spokesman Abdon Pallasch says the state can't afford to keep salaries and benefits at their current levels. He told The (Springfield) State Journal-Register that even after cuts, state employees would have generous benefits. 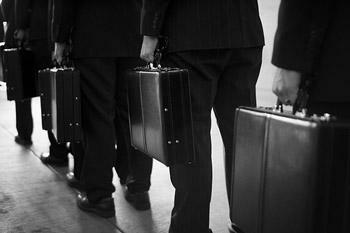 An arbitrator has ordered Gov. 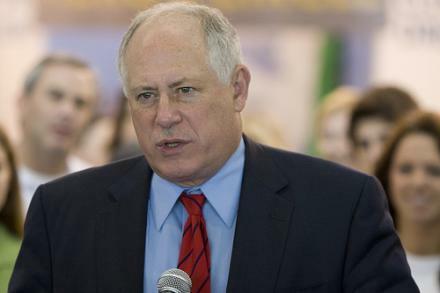 Pat Quinn to cancel his plan to lay off state employees and close several prisons and mental facilities. Arbitrator Edwin Benn ruled Monday that Quinn's plan would violate his agreement with a major union. The Democratic governor signed a deal last year that promised no layoffs or closures if the American Federation of State, County and Municipal Employees agreed to various cost-cutting measures.